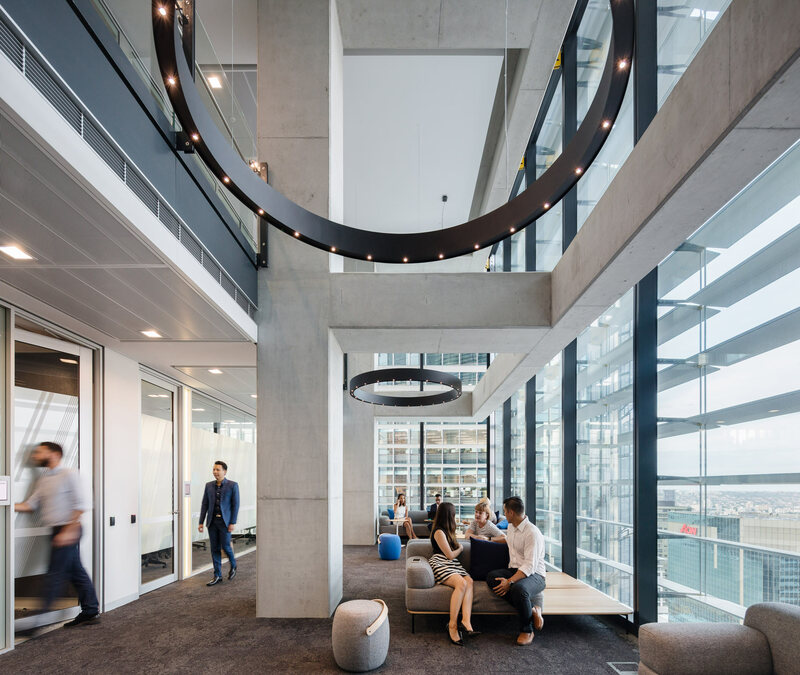 Davenport Campbell collaborated with KPMG Australia to create an agile workspace that would encourage interaction, connectedness and stimulate creativity. 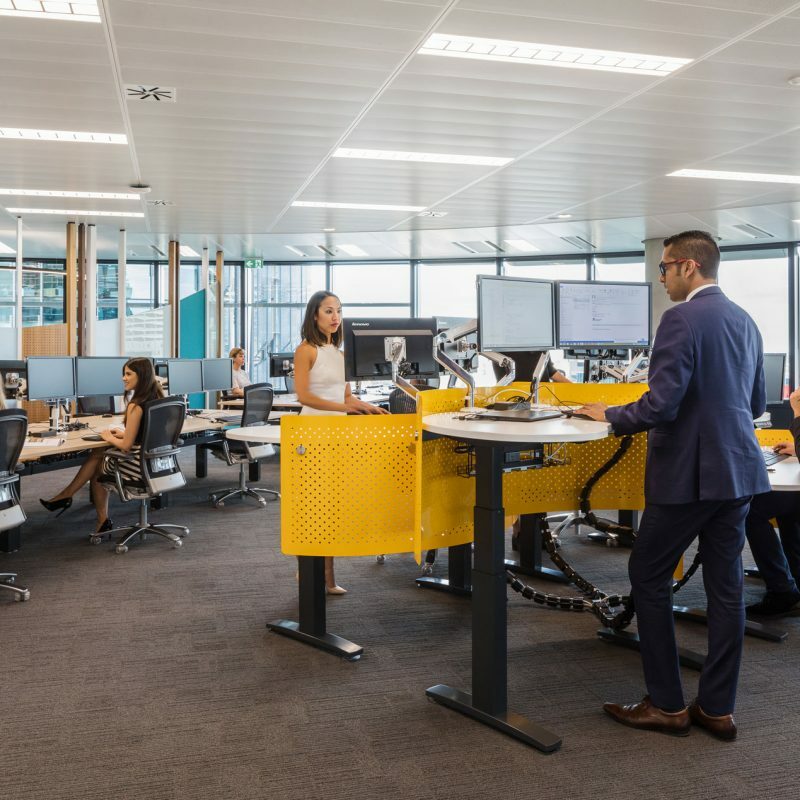 KPMG is in the business of solving complex problems for clients so putting people together to create and challenge thinking is critical. The design concept, “Thinking Beyond the Horizon” aimed to utilise the building’s natural materials and surroundings. 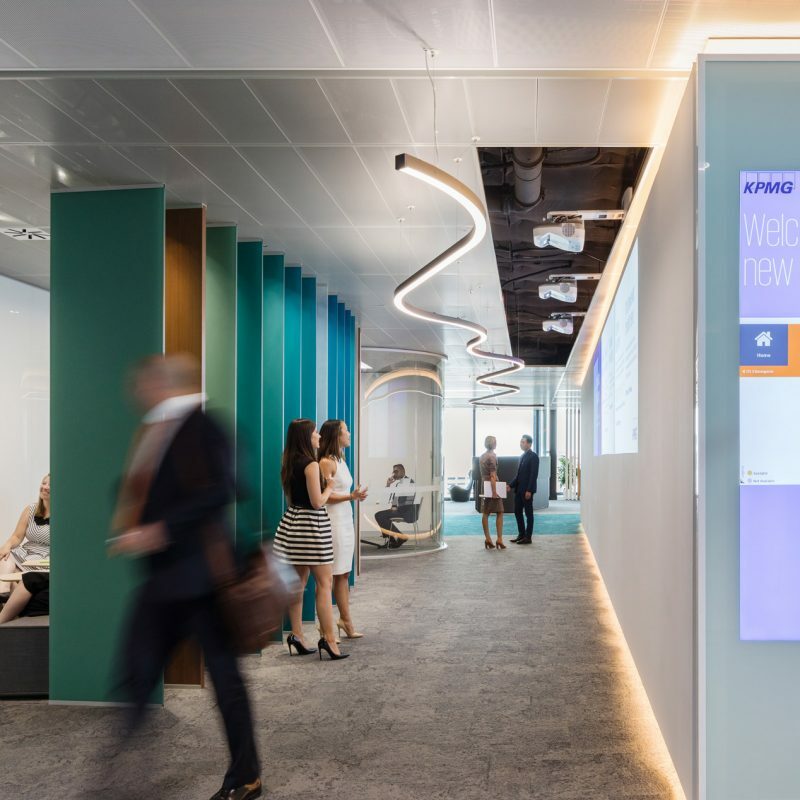 It was essential that the workplace design is a reflection of KPMG’s values of expertise and integrity; connection and communication; leadership and commitment. 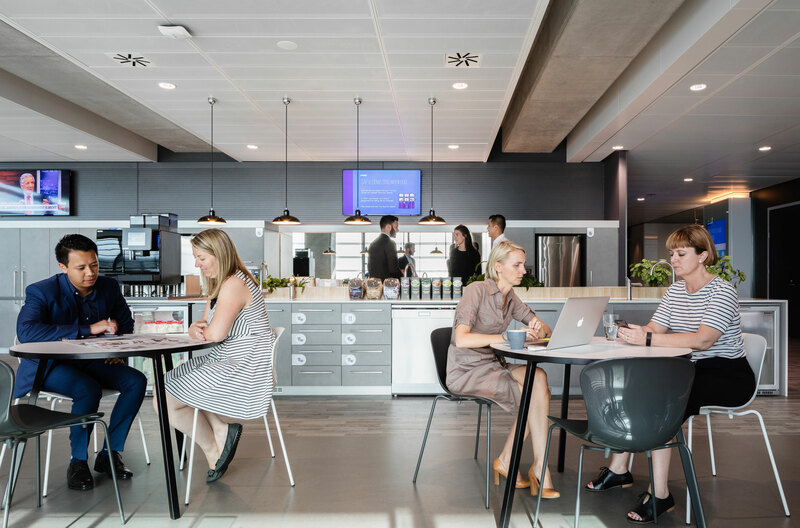 The physical workspace is central to the wellbeing and mindset of people and their productivity and shaping culture. 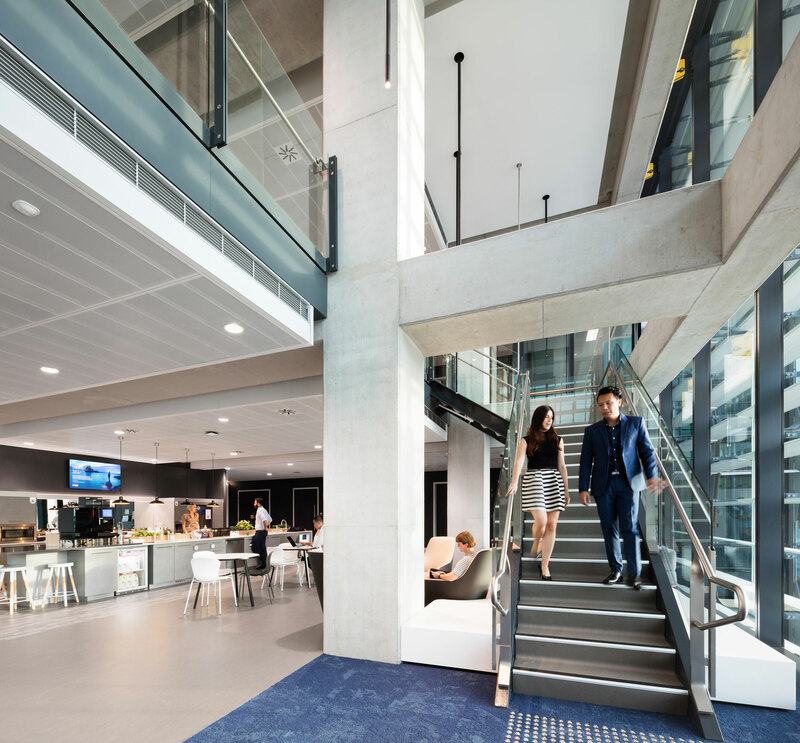 “We have 2,500 employees in Sydney alone with an average age of 27. 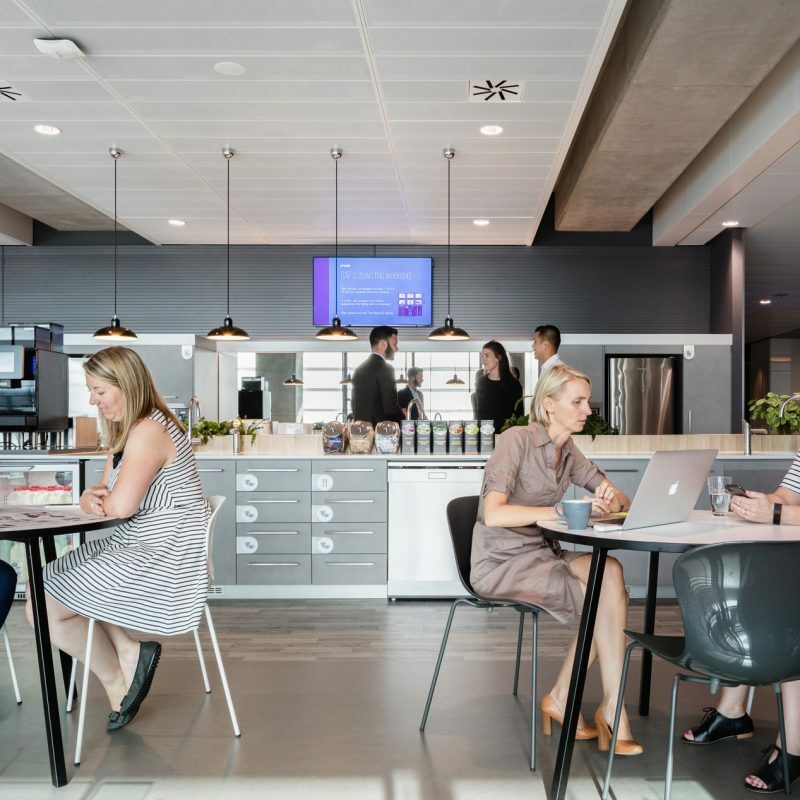 It’s essential to create a positive environment that allows our people to work in the best way they can and to stimulate their sense of belonging to something bigger than just themselves”, says Martin Blake – KPMG NSW Chairman. 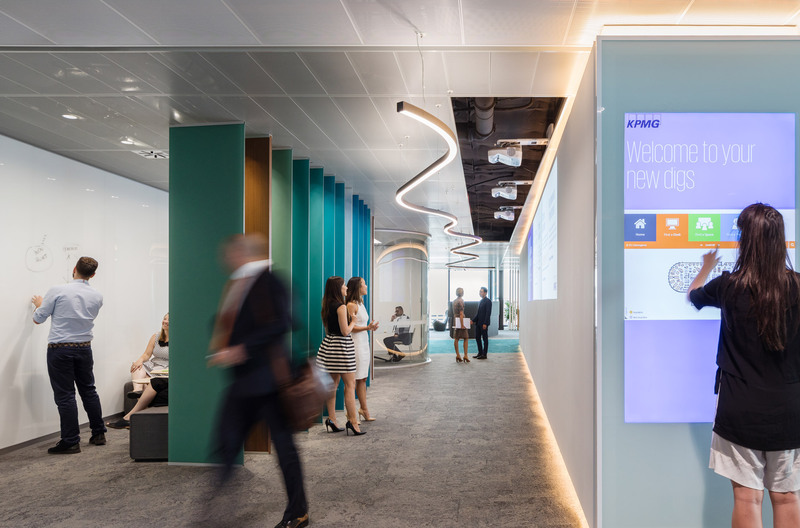 KPMG wanted to give their staff freedom and choice about how they work, reflecting the firm’s guiding principles of autonomy, connection, edge and conscience. 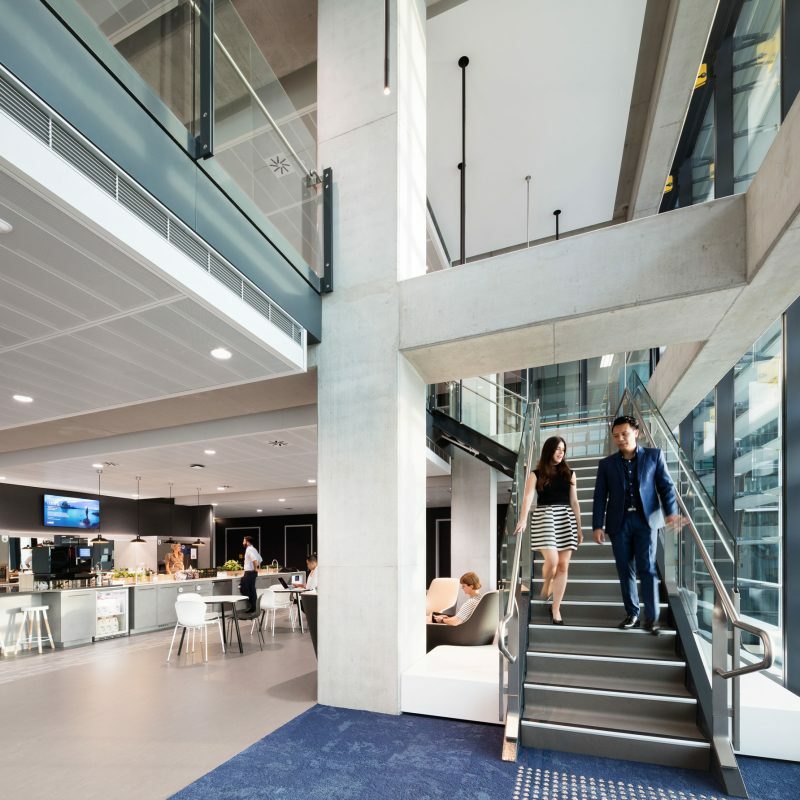 Blake says he has already seen changes in behaviours and work patterns, with people and whole teams moving in between floors freely, finding collaborative spaces to huddle and check in on projects. 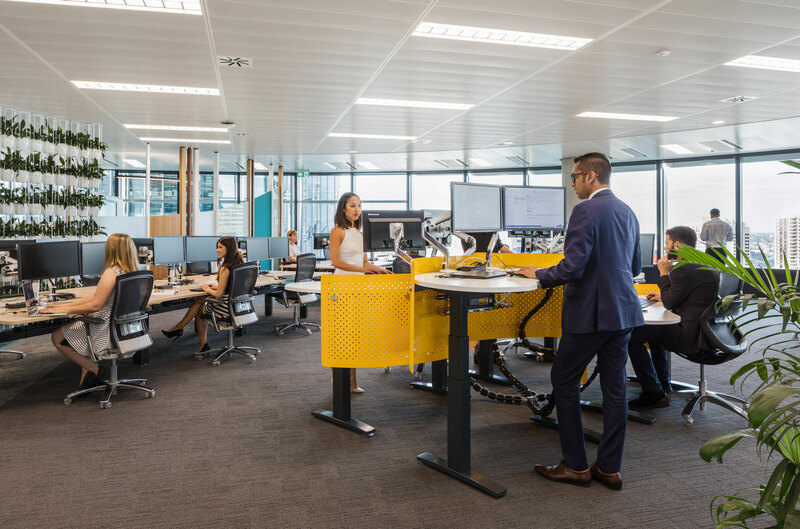 Connectedness creates a deep opportunity to deliver better advice and solutions for clients.